Over the past few months, we have been extremely fortunate to receive two significant grants that will go far toward addressing critical issues in Indian Country. 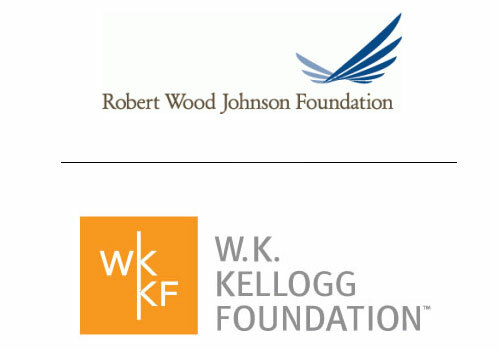 We were one of four organizations to receive grants of $415,000 each from the Robert Wood Johnson Foundation (RWJF), in partnership with Public Interest Projects. RWJF’s overall effort aims to promote opportunity and health for young men of color in rural communities in the South and Southwest, and it represent the nation’s largest private investment in rural young men of color to date. The program is known as the “Forward Promise” Catalyst Grants. Early intervention strategies that focus on dropout prevention and increasing middle school retention and high school graduation rates. Policy and programmatic efforts that elevate the importance of a caring adult to re-engage youth who may be disconnected from work or school. We have already conducted an application period for grants under the program, and we are now evaluating the responses. We expect to award four to eight grants ranging from $38,000 to $50,000 each. We were awarded a $306,000 grant from the W.K. Kellogg Foundation of Battle Creek, Michigan, under the foundation’s “Catalyzing Community Giving” effort. First Nations will use the grant to collaborate with smaller local or regional Native American nonprofit organizations to build their internal capacity while engaging new donors – both Native and non-Native – around those organizations’ efforts in building sustainable food systems and strengthening Native culture among youth. First Nations will work with 10 organizations in its two-year pilot project, called “Nurturing Native Giving,” that is intended to strengthen their fundraising effectiveness, with a primary focus on individual giving. First Nations will create a web portal that profiles the 10 participants, highlights their work, and which allows convenient donations to each organization. Further, First Nations will assist them in publicizing and marketing the portal and all funds raised will be directed back to these communities. We will also provide significant training and technical assistance to the participating organizations through coaching, webinars and an online learning community to share resources and build the group’s collective knowledge and best practices from their own organizations. We’ll also facilitate a dialogue between project participants and Native grantmaking tribes and other funding entities in hopes that mutually beneficial partnerships can be established. Three convenings and a white paper will summarize the learnings and policy recommendations that can lead to increased giving in Native communities and, ultimately, grow the body of knowledge about Native philanthropy.